Despite the fractious relationship between Huawei and the US government, many had been hopeful that the impressive new Mate 20 series could be sold unlocked in the region. Huawei has now confirmed, no Mate 20s for US customers. If you are planning on buying a European or Asian version of one of the new Mate 20 series, be sure to check that your network supports imported devices. The Mate 20 phones use GSM standard, not CDMA which some US carriers like Sprint support exclusively. We already knew that the Mate 20, Mate 20 Pro and Mate 20 X had no chance of being released through US carriers. The company is locked out of the US market due to White House fears that Huawei spies on its customers for China, although Huawei did sell the Mate 9 and Mate 10 Pro unlocked in America. A contract between Huawei and AT&T was torn up back in January and Huawei boss, Richard Yu, has previously stated that the block is a “big loss for consumers”. Huawei is now the second-biggest smartphone manufacturer in the world. The new Mate 20 Pro is designed to directly compete with the iPhone XS Max. Our early impressions have been positive, aside from some face unlocking concerns, the new Mate 20 series would be welcome competition in the US smartphone market. 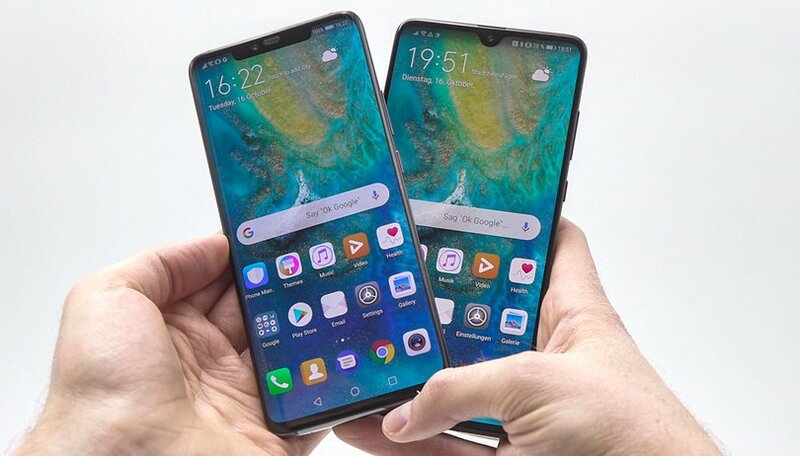 The new line of Huawei smartphones features four devices; the Mate 20 Lite, Mate 20, Mate 20 X and Mate 20 Pro. The Pro version is a classy 6.3-inch OLED phone that starts at €999 in Europe (around $1,150). The Mate 20 X is an enormous 7.2-inch phablet, whilst the Mate 20 Lite is a stripped-back version that is currently available for £379 in the UK (around $490). Despite the lack of the Mate 20 phones, Huawei will bring its new Watch GT to the region. There is little information on price and availability yet, but the new smartwatch costs either €199 ($230) or €229 ($260) in Europe, depending on if you choose the black version with a silicone strap or a silver version with a leather strap. What do you think about the lack of Huawei’s latest flagship phones in the US? Is the market better or worse for their exclusion? Let us know in the comments below. IPhone has no competition. An iPhone user isn't necessarily going to like Android. How silly. Let's get this straight once and for all. The iPhone has NO rivals! If a phone can match the sales numbers of the iPhone, then it can be considered it a rival. Otherwise, stop spouting nonsense.